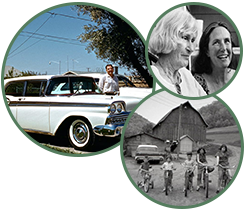 Many people have family memories that are not easily viewed in outdated formats. These mementos become dirty, damaged, and unviewable. If your video, film, or audio was made in the last 100 years, we can transfer it to modern media formats. We serve individuals and businesses in the Madison, Wisconsin, area. Relive your favorite memories or watch old family videos clearly with our video transfer and audio restoration services. Contact us to learn more about our video editing services and how we maintain perfect color and HD resolution. Stored photos take on new life as a glossy coffee table book or a digital slide show. We provide numerous photo and document scanning services so you can electronically file old letters, pictures, and legal documents. 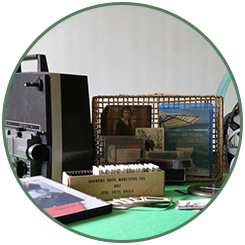 Preserve stories of your family's history with audio-visual equipment and editing services from Holder Printworks. 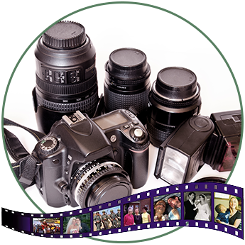 We offer equipment rentals and provide you with everything you need. We work closely with you so you're happy with the final product. When you are looking to convert old tapes to digital, call (608) 576-6416. Holder Printworks in Madison, Wisconsin, was created as a labor of love. Our owner made his first home movie in 2002, an hour-long video of his six-month-old son that delighted both friends and family. Then, he began doing video projects for friends. Once he realized how grateful and happy his "customers" were, he decided to take his passion for creating audio-visual projects and channel it into a business. Since opening in 2003, we have processed more than 400,000 feet of film and 50,000 slides, scanned thousands of photos, and converted hundreds of home movies. Through these many projects, we have seen Elvis play football in Germany, witnessed Vietnam battles, and seen families travel to all corners of the globe on amazing vacations. We have also worked closely with the Historical Society and the Badger History Group. The joy, tears, and gratitude of countless clients over the years have been a constant reminder of the power of great customer service. We look forward to many more years of being able to make a positive, personal impact in the lives of each and every client. Think Our Services Are Expensive?